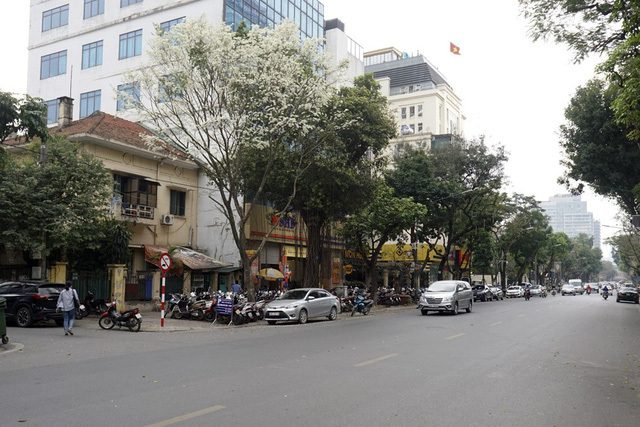 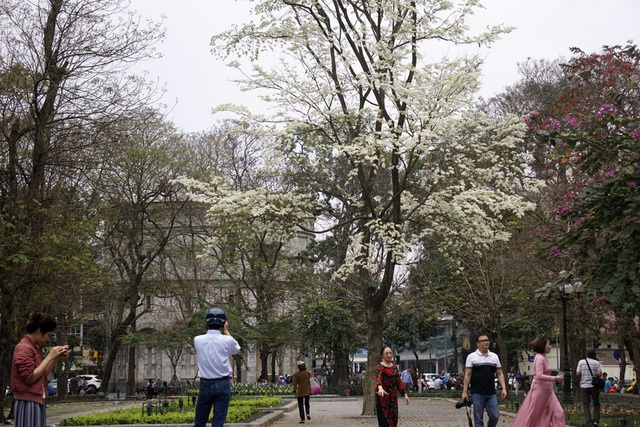 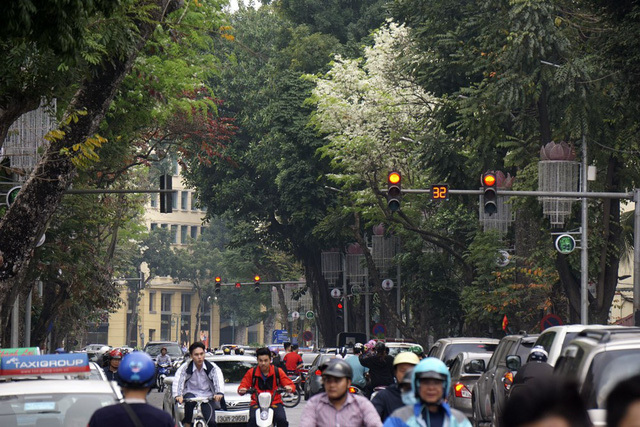 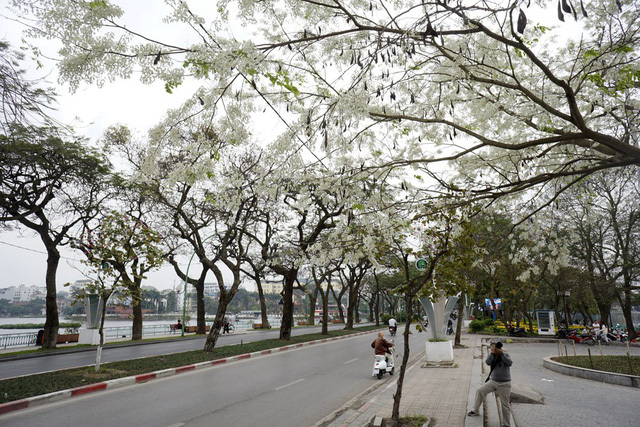 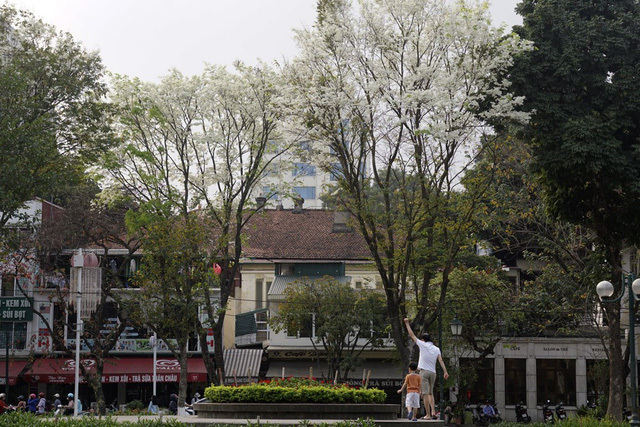 The beautiful streets of Hanoi can be seen under the white blossoms of sua (Dalbergia Tonkinensis Prain) trees. 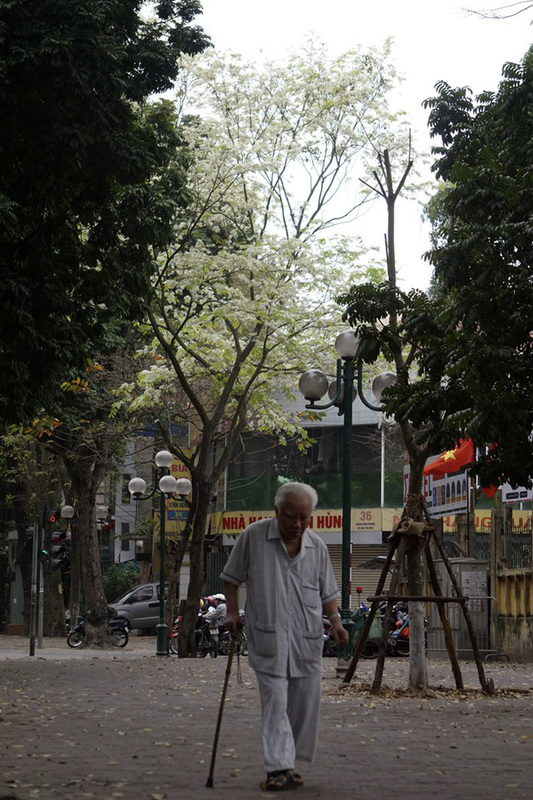 Sua trees were planted a lot on the streets but they are also very valuable species. 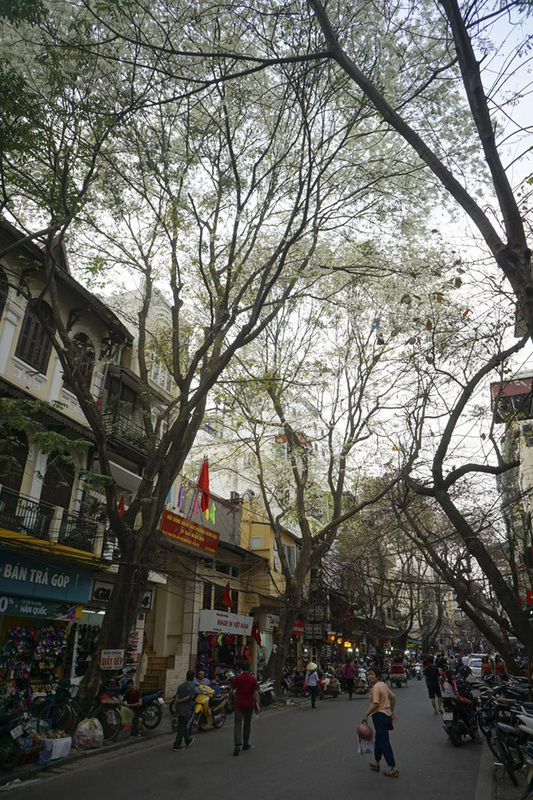 They are threatened by habitat loss and over-exploitation for timber. 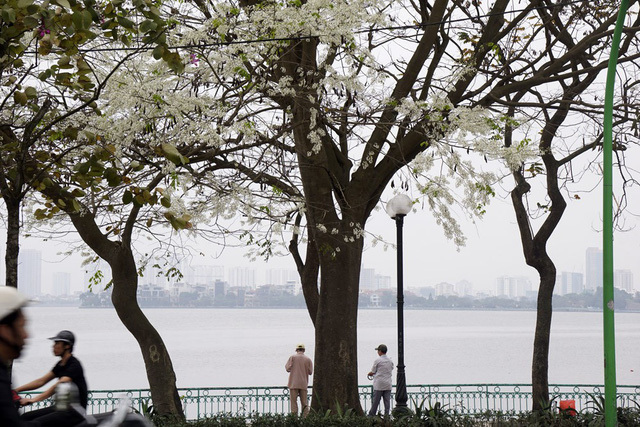 Individual trees have sold for over a million US dollars. 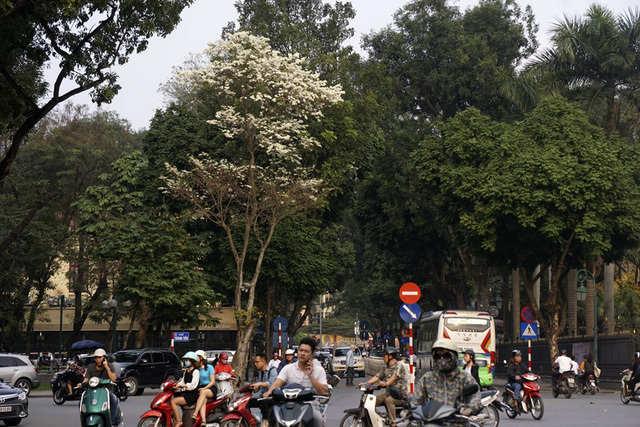 The government banned the use of sua for commercial purposes in 2007 but can't prevent illegal logging due to high demand. 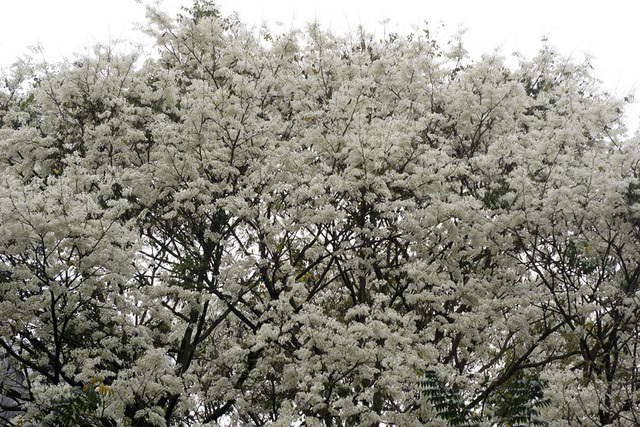 Sua timber is used for making furniture, jewellery and medical purposes. 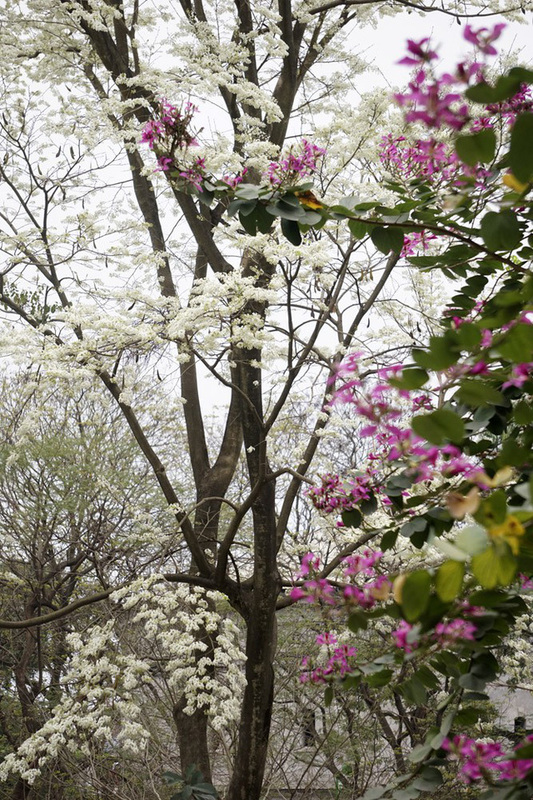 The flowers often blossom from February to March. 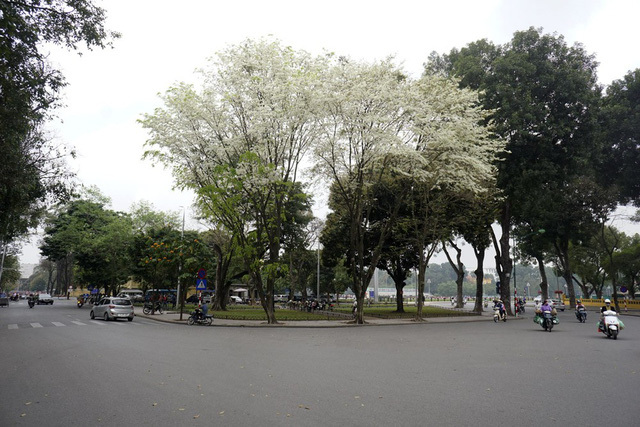 Many people refer to this period as a season when clouds of flowers drop to the streets because of its white colour.